Greenacres Movers – It’s important to have the right movers doing your heavy lifting for you. 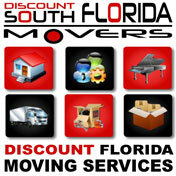 Discount South Florida Movers has been helping people move in Florida for over a decade and a half. We will work closely with you to ensure that all your needs are met and that there is no hassle for you. Our rates are the lowest in the area. So call us for a free quote and see just how easy your moving experience can be..
Our team of experts will walk you through anything that needs to be coordinated prior to the move as well. Once the moving day is here our onsite supervisors that accompany every job site will ensure that you are completely satisfied with your move. Whatever your needs are we can take care of it. Whether you need your belongings packed securely or need to ship them long distance we do it all. Let us help you with your move today. Greenacres is a rapidly expanding city in the interior of Palm Beach County. Between 2000 and 2010 the city increased in size by 40%, gaining 10,000 people and is now the 8th largest city in the county. The city was founded and incorporated by Lawrence Carter Swain in 1926 and was originally planned as a place for working and middle class to live. The city’s planning has placed a heavy emphasis on greenery and has been designated a tree city by the National Arbor Day Foundation for over twenty years straight. It’s also been recognized as one of the one hundred best places to raise children by America’s Promise. This year the city celebrated it’s 90th anniversary. Discount South Florida and Greenacres movers provide low rates on residential, commercial, piano and long distance moving.